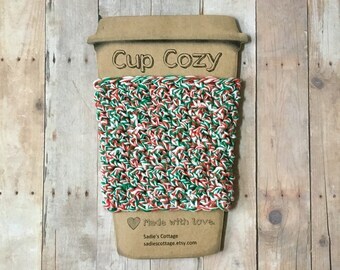 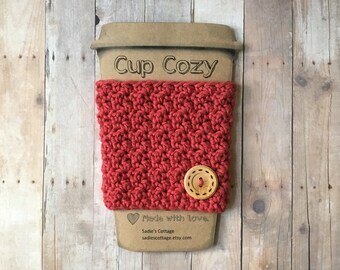 Whether you prefer your coffee hot, iced or frozen, this reusable cup cozy just makes it that much more enjoyable. 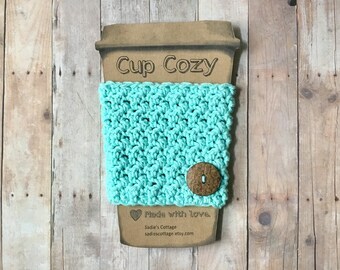 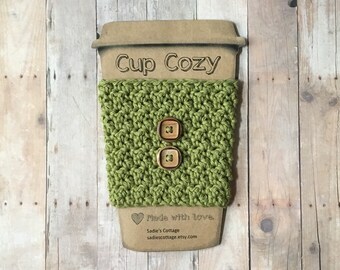 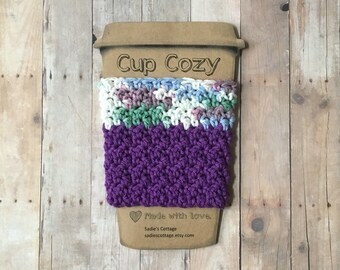 It is hand-crocheted with 100% cotton yarn, and will fit most to-go cups. 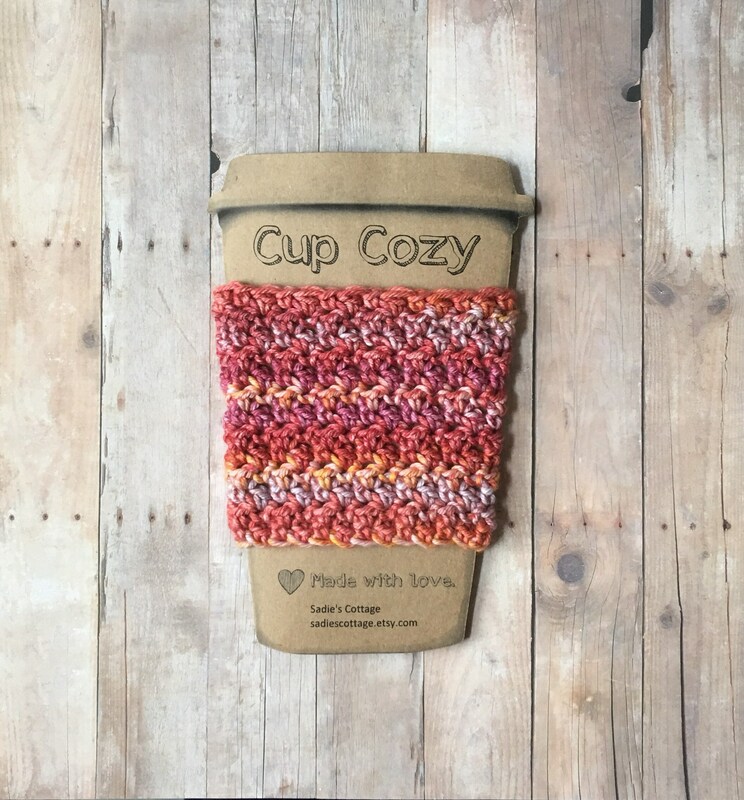 Always be ready for that coffee or tea run by keeping one in the car, at the office, or in your purse or briefcase. 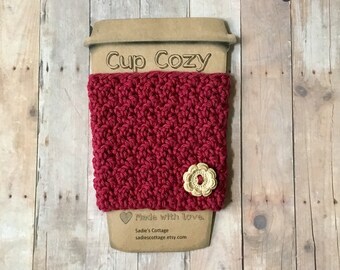 Add a coffee shop gift card and you have the perfect gift for any coffee or tea lover.